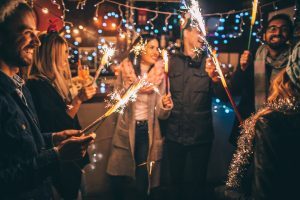 Celebrating the new year can be strenuous, especially if you’re trying to cut back on your alcohol intake or if you are an alcoholic in recovery. Emotions are easily triggered this time of year: Grieving lost loved ones, family members asking the same questions over and over or financial stress are all temptations. Emily Dungey, LCPC, an outpatient therapist and substance use counselor at Memorial Behavioral Health–Counseling Associates, provides these helpful tips to keep you on the right track. Have a Plan. Know where you are going and what time you should leave. If you are going to party where people will be heavily drinking, once it starts to get out of hand, it’s time to head out! Drink water or a soda during the party. If people see you have a drink in your hand, they won’t ask you if you need one. You Don’t Have to Go. Always remember you don’t have to go to the party. If you feel the situation may be too stressful, don’t go. Be selfish–put yourself first to ensure you stay on track. Know Your Triggers. Avoid people, places or situations that might act as triggers. You must break the cycle of your old pattern or habits. Practice Healthy Coping Skills. Everyone has coping skills, but choosing healthy ones will help maintain your routine. Exercising, eating heathy, getting plenty of rest, practicing yoga or meditation and staying in contact with your support system will help keep you focused. For Family Members. If you have a loved one who struggles with overconsumption or alcoholism, make sure they understands that you will always be there for them. If trust is an issue, know the difference between helping and enabling. If You Stumble. Don’t let a lapse or a struggle with triggers cause you to throw your hard work out the window. Collect yourself, connect with a counselor or support group and be open and honest with family. If you are struggling and need professional assistance or treatment for substance use, contact Memorial Behavioral Health–Counseling Associates. 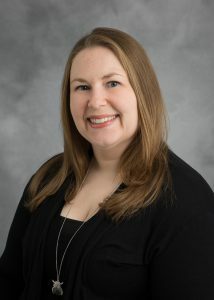 Emily Dungey, LCPC, is an outpatient therapist and substance use counselor at Memorial Behavioral Health–Counseling Associates. Emily provides a full range of mental health services to children, adolescents and adults. She has experience as a child and adolescent therapist and in the substance use field. Her treatment focus includes depression, anxiety, adjustment disorders and addictions.